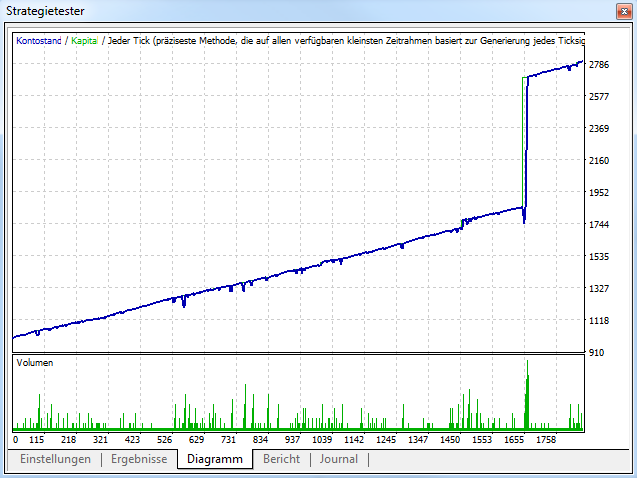 See my new and best "Revolution EA"
This EA is for trading EUR/USD. 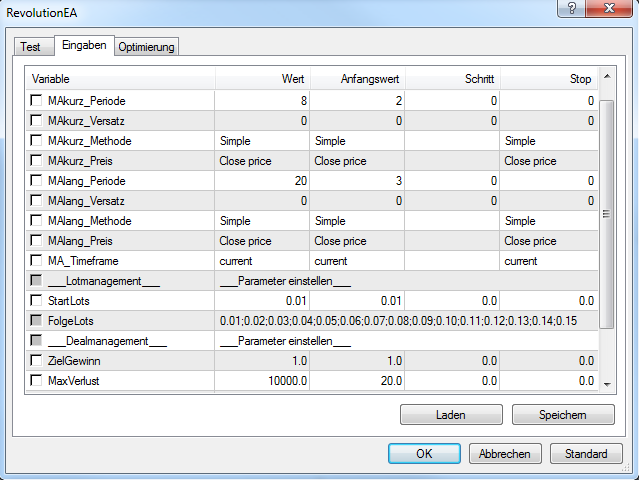 You can trade other pairs, too, but I have test it only on EUR/USD. 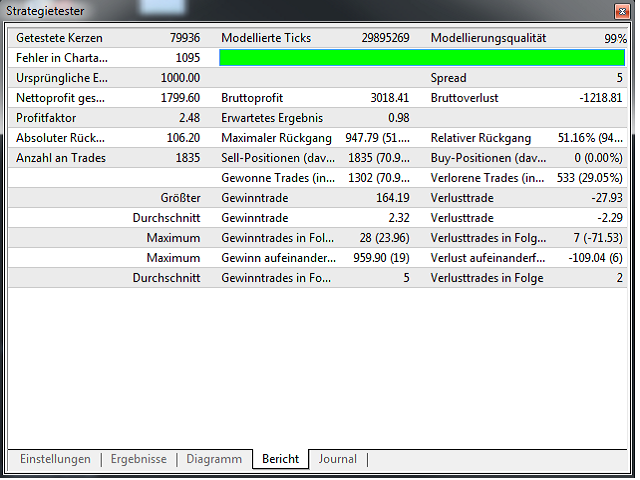 To trade with this EA you should have an broker with slow spreads. You should have minimum 1.000€ to start with this EA. The best broker for this EA is: https://icmarkets.com/?camp=16108 it is optimized for. Please take the settings I show you in the screens. For questions you can write me a message.